The Toymakers is Robert Dinsdale’s fourth novel, following his critically acclaimed books The Harrowing, Gingerbread and Little Exiles. A toy cannot save a life but it can save a soul. 1906, Cathy Wray is looking for an escape. The baby inside her is too small to be seen by the outside world but her parents have already planned to send her away before she begins to show. She’ll be hidden away until after the baby is born, it will be taken from her and she’ll never see it again. She may not love the baby’s father but she knows she can’t give the baby away. When she sees an advert for a job in London at The Emporium toy store she knows it’s her only hope. Are you lost? Are you afraid Are you a child at heart. The Emporium opens with the first frost of winter. Sales and stocktaking, no experience required. Bed and board included. She’s welcomed into The Emporium family and embraces the magical world of the renowned toy shop, but as the season draws to a close her bump starts to show the shops seasonal closure draws near. There’s no way the owner of the store, Papa Jack will let her stay on through the summer when the shop is closed, and although she gets on well with his two sons, Kaspar and Emil (especially Kaspar), she can’t help but worry for her and her baby’s future. However, Kaspar is watching Cathy closer than she knows and once he realises she has a baby on way he reaches out and helps her to hide within the tardis-like walls of The Emporium. Concealed in a wendy house, surrounded by giant paper trees and pipe cleaner birds, love is found, a heart is broken and a new life is brought into the world. The Toymakers is a magical story set in one of the most enchanting locations I’ve ever read. The Emporium and its toys are brought to life by Robert Dinsdale’s incredible descriptions of patchwork dogs, toy soldiers and canned instant trees. I think I could have read an entire book just about the shop and the toys within it. Mental images of the shop are still dancing around my head days after I’ve finished the book. The shop is a place of fantasy, toys are as alive as their creators and the shop is as large as a child could dream. Although Cathy comes across as the lead character one of the main storylines is the ongoing competition between brothers Kaspar and Emil. Whether it’s love from their father, toymaking, game playing or Cathy herself, everything is a competition. Emil feels he constantly lives in his older brother’s shadow, even when the realities of war encroach on the sanctuary of The Emporium and their lives change forever. The emotional highs of the first half of this novel are followed years later by the pain of war and the damage it brings. This contrast makes the second half of the novel even more evocative and really hammers home the importance of the unique world that Papa Jack creates within The Emporium. The Toymakers is a wondrous story of magic, love and sibling rivalry. In our current national, political and general world climate, escapism like this is hugely welcome and much needed. The Toymakers is to adults what Papa Jack’s toys are to the children within its pages, it’s an opportunity to glimpse into a world of wonder and be amazed. Visit The Emporium yourself, you won’t be disappointed. 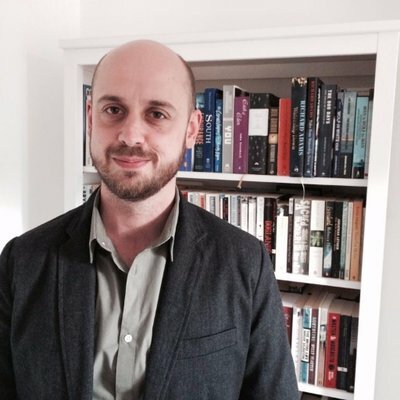 Hi Robert, welcome to The Tattooed Book and thank you for taking the time out to answer some questions. What five words would you use to describe The Toymakers? This is so difficult without veering into spoiler territory! But suffice to say there is a death in the book that wasn’t quite planned, but naturally had to happen. I hope it’s a beautiful, contented end for the character, but there’s great sadness in it too. Are any of the characters in The Toymakers based on real people? Nobody exclusively, but bits of the people you know and love always creep into the book somehow – so, while no one character is a cypher for a real person, I can recognise aspects of my family and friends and old colleagues in Cathy and Emil and Papa Jack. I’m afraid to say it but I recognise bits of myself that have unwittingly crept in too – and, for some reason, it’s always the aspects of myself I’d really rather not think about that somehow find their way onto the page. Where there any scenes or people you loved but had to edit out of this book? I think I have only ever cried wholeheartedly at two novels: most recently, Cormac McCarthy’s The Road, a book I’d defy any father with a heart not to sob at; and, way back in the mists of time, a children’s novel called The Fox Cub Bold by Colin Dann. Its bittersweet ending nods at Watership Down – a battle is won, but a life well spent is lost. I’ve loved bittersweet endings ever since. The Solitude of Thomas Cave by Georgina Harding is one of the most perfect novels. It has its fans but not nearly enough. Its arctic landscapes are bleak and yet beautiful and, for a small novel, it feels so vast as well. I can’t say much more without spoiling the story, but this is the book I have most often given as a gift. It would have been Gulliver’s Travels, without a doubt. It is, perhaps, the earliest book to use the fantastic to make comment on the modern moment, and I love it that it was as appealing and engaging for me as a six-year-old boy, looking at pictures of the Lilliputians tying Gulliver down, as it is for me as an adult. 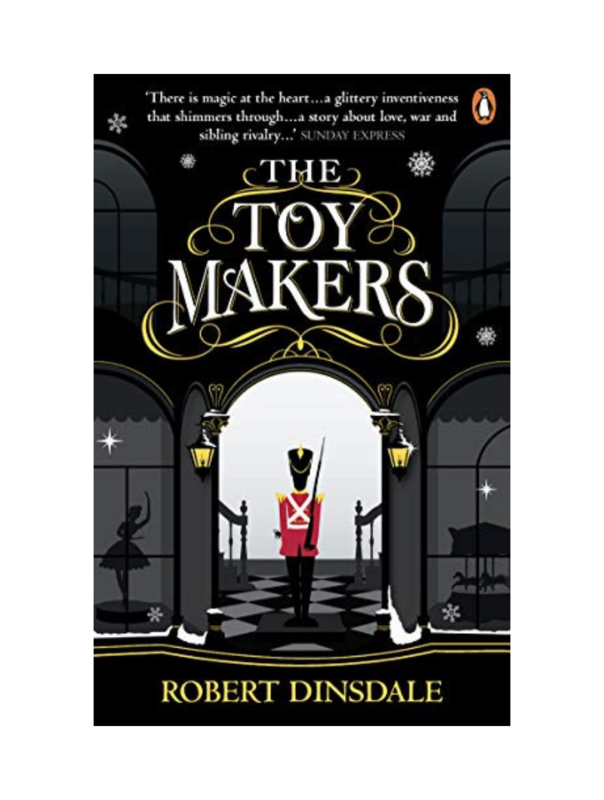 Read an extract of The Toymakers by Robert Dinsdale now. If you like this you’ll love The Snow Child by Eowyn Ivey.